The American Theatre Wing may be announcing the Tony Award nominations on April 29 (8:30 am ET if anyone wants to join me before work to watch it live), but we here at My Entertainment World are getting a jumpstart by announcing our first ever New York My Theatre Award winners right now! 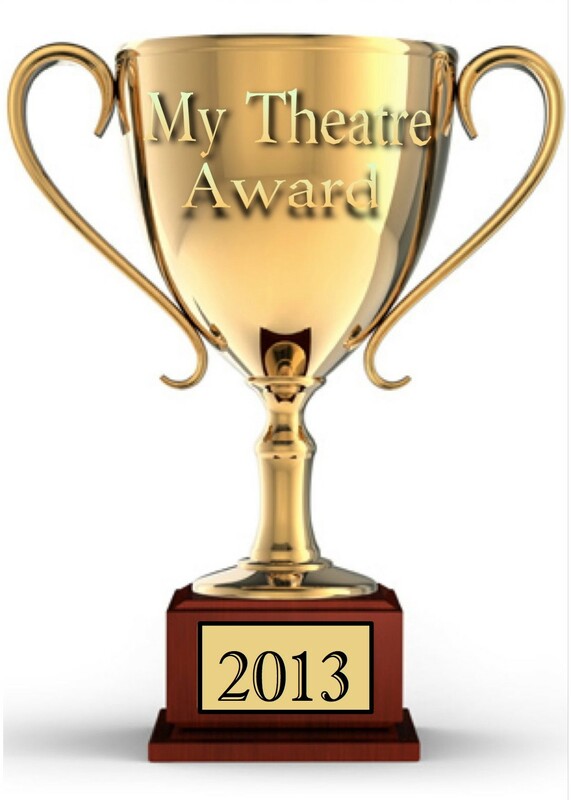 The New York My Theatre Award season covers the best work on and off-Broadway that a My Theatre writer saw from January 1 to December 31, 2013. Bertie Carvel (Matilda the Musical): Mr. Carvel’s brilliant performance as the terrible Miss Trunchbull is one not soon forgotten. Rachel Bay Jones (Pippin): Jones has audiences in stitches night after night as the incredibly funny, “ordinary woman” Catherine. She also has a stellar voice to match her acting skill. Alessandro Nivola (The Winslow Boy): No theatrical moment for a supporting actor in a play last year was more memorable or better executed than Nivola’s cross-examination of Ronnie Winslow as Sir Robert Morton. Deborah Rush (Women or Nothing): Deborah Rush brought some much-needed levity to Women or Nothing, and she excelled on stage as the haughty, free-spirited mother Dorene. Jefferson Mays (A Gentleman’s Guide to Love & Murder): In a category filled with five iconic performances, Jefferson Mays’ portrayal of no fewer than 8 potential murder victims in the darkly comedic Gentleman’s Guide has had critics buzzing since the show opened (myself included). Patina Miller (Pippin): Ms. Miller proved once and for all that she is a Broadway superstar as the Leading Player in Pippin. Jeff Blumenkrantz (Murder for Two): This could very well be a tie between the energetic Brett Ryback and Blumenkrantz because it is hard to imagine one on stage without the other, but (protocol says) Blumenkrantz gets the edge here for his portrayal of multiple murder suspects. Cherry Jones (The Glass Menagerie): Jones’s portrayal of Amanda in this classic play is anything but ordinary, and she brought a level of complexity to the role that wowed audiences and critics alike. This was by far the closest category, and with good reason. All five of these gentlemen are unquestionably talented, and I hope that each will return to an NYC stage soon (although I would happily visit London as well). Mark Rylance (Richard III/Twelfth Night): Rylance + Shakespeare = perfection. Pippin: This spectacle of theatrical and circus feats has been entertaining audiences for a year and is showing no signs of slowing down, even with the departure of its two leads. This is a show that is not to be missed in NYC. The Glass Menagerie: Despite my well-documented dislike for Tennessee Williams, this revival was beautiful and a critical darling in a strong play season. Special honorable mention goes to Patrick Stewart for fan favorite because even those fans who could not make it to New York to see No Man’s Land or Waiting for Godot enjoyed this dynamic duo’s viral marketing campaign for the shows. There you have it! All of the nominees left great impressions on the NYC theatre community and deserve accolades for their work. Make sure to check out my coverage of the Drama Desk Awards and the Tony Awards on June 1 and June 8 here at My Entertainment World.